A web-blog (formerly known as Stu's Views and MS News), now published by MS Views and News, a patient advocacy organization. The information on this blog helps to Empower those affected by Multiple Sclerosis globally, with education, information, news and community resources. 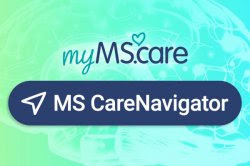 Important Resources for the MS community are found on the left side of this blog. Disclaimer: 'MS Views and News' DOES NOT endorse any products or services found on this blog. It is up to you to seek advice from your healthcare provider. 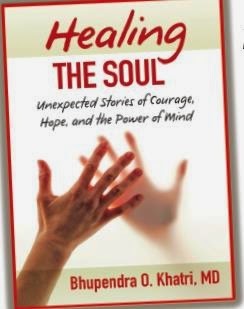 The intent of this blog is to provide information on various medical conditions, medications, treatments, for your personal knowledge and to keep you informed of current health-related issues. It is not a substitute for the advice of your physician. Should you or your family members have any specific medical problem, seek medical care promptly. When was the last time you visited with your MS Neuro Team and remembered all your questions or topics to discuss? Worry no longer when using this Land of MS (2 page) communication tool ( https://bit.ly/2FSJ3T3), that will have you smiling when leaving your appointment knowing that everything you wanted to say or ask, was made easy when completing this form and bringing with you to your appointment. You can also click the document to access directly from our website where you can also complete online and then print. 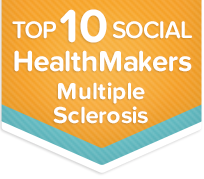 Multiple Sclerosis is a complex condition which can be difficult to diagnose because it presents in many different forms. Symptoms can include problems with vision, balance and dizziness, fatigue as well as bladder, speech and swallowing difficulties. The condition can also affect memory and thinking and impact on a sufferer's emotions. In severe cases a person with MS will be unable to walk. Most people will not suffer the same symptoms and they will not suffer all of them at the same time. In multiple sclerosis , damage to the myelin in the central nervous system (CNS), and to the nerve fibers themselves, interferes with the transmission of nerve signals between the brain and spinal cord and other parts of the body. This disruption of nerve signals produces the primary symptoms of MS, which vary depending on where the damage has occurred. Over the course of the disease, some symptoms will come and go, while others may be more lasting. CLICK TO Learn More about the Symptoms . MS Views and News does not endorse any one products, medication or complementary therapy. Everything you ingest or use, should be discussed first with your healthcare provider(s). Sharecare Marketing - March 2014 - LISTED Stuart among the Top "10"
- Copyright 2008-2019 - MS Views and News ---. Simple theme. Powered by Blogger. Becoming a Sponsor of MS Views and News will enable us a few dollars more to host Multiple Sclerosis learning programs for those affected by MS and a sponsorship at the correct tier would place your logo and url on our site(s) and possibly with our social media offering you lots of new exposure. President of MS Views and News, Inc.